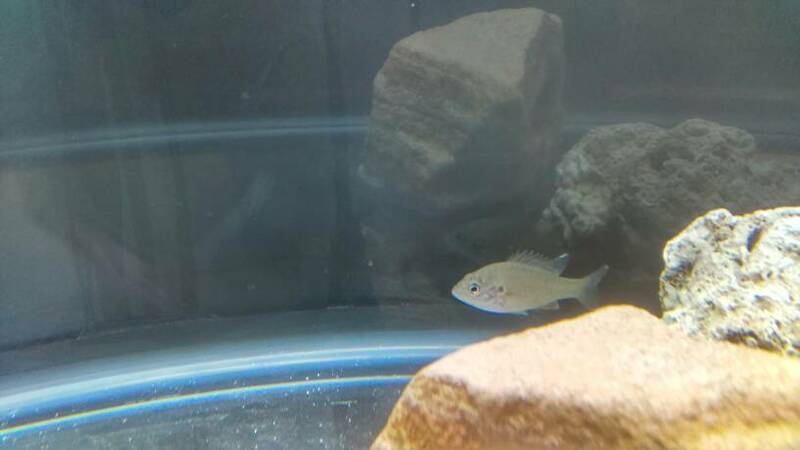 Feeder tank petco find - green sunfish? 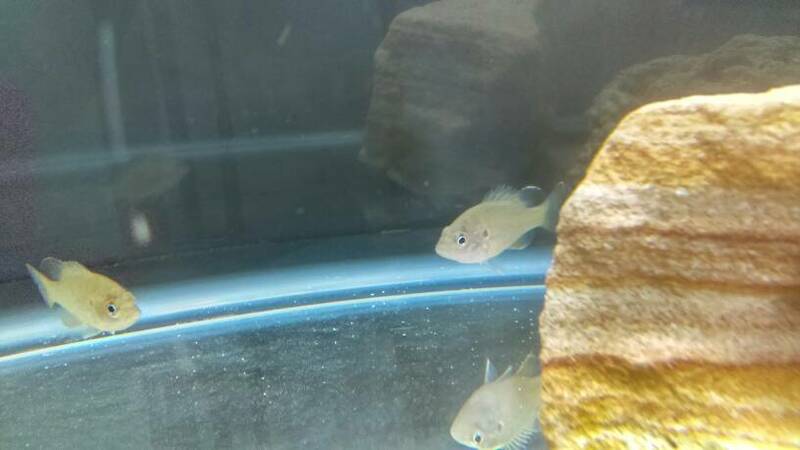 I think these are green sunfish, but I just want to be sure. 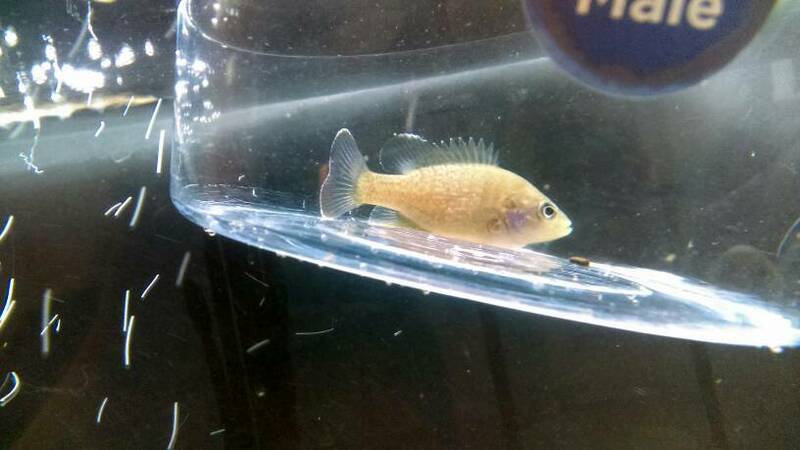 I have three of them that are eventually getting their own 75g, but as for right now, they're going in a 40g breeder after quarantine. Considering these came from a feeder tank, not sure if the Mods will make an exception. 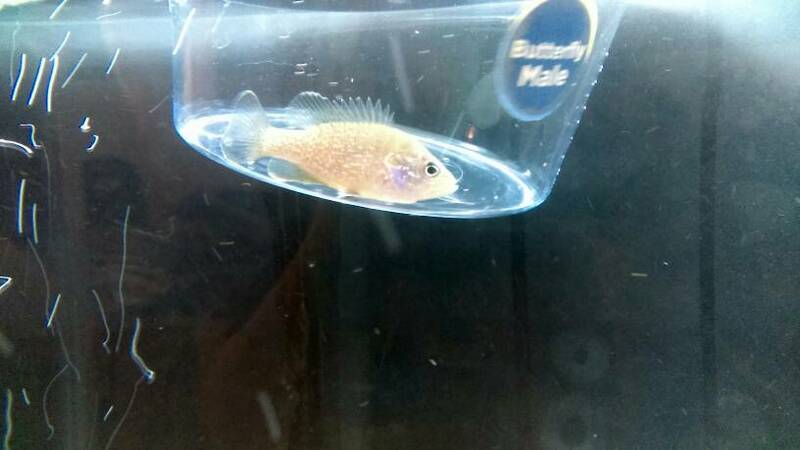 That's why I posted it under the "feeder tank finds and identification". How is that not allowed? 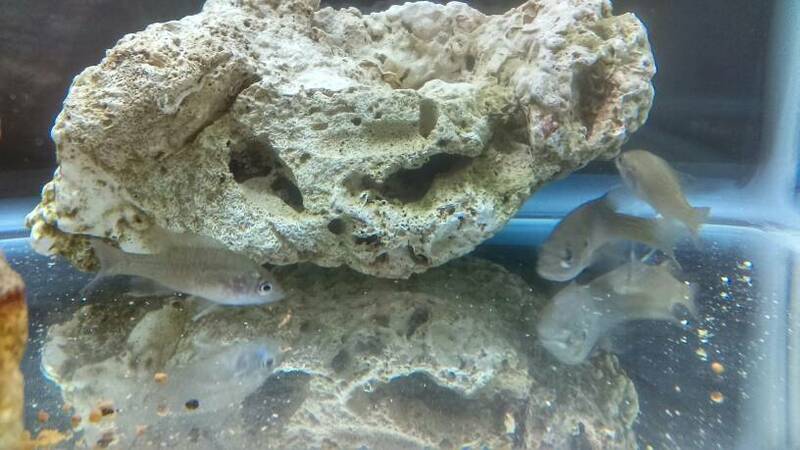 The fish are from a feeder tank. As far as I know, this is the exact spot to post. If you want a pic of them in the "field", then here is a pic of one of them in the feeder tanks where I bought them from. I don't enforce the rules on the forum, I was just putting the information out there just in case the thread was locked. That way, you'd know why if it were. 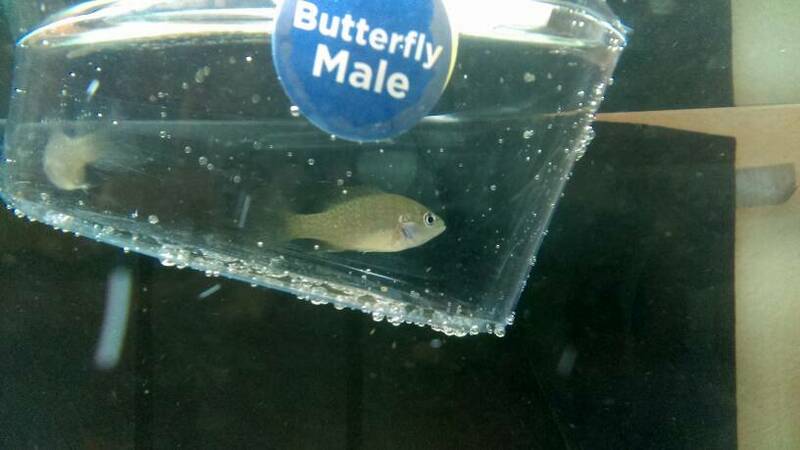 There are 4 other threads in this section regarding feeder tank fish I.D. The only reason I see this being locked is for drifting off topic. Back to the original question: Can anyone I.D. 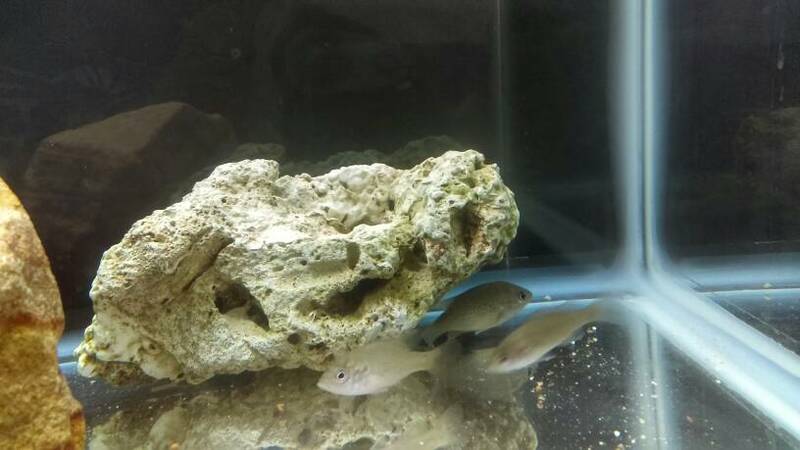 these fish I found in the feeder tank at a petco? 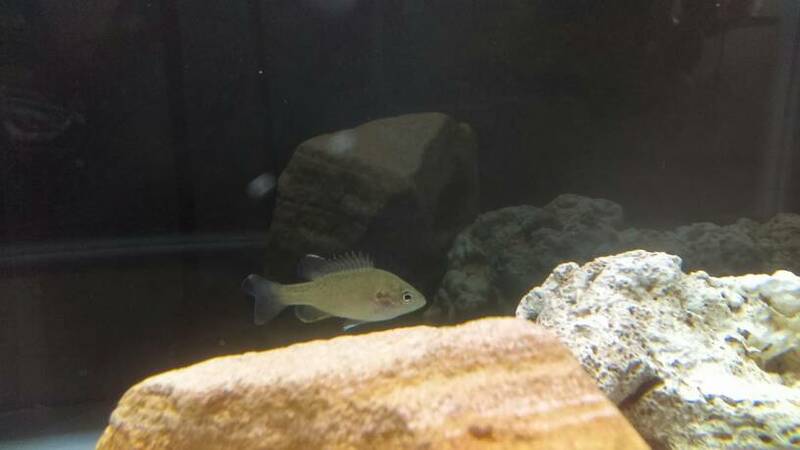 Definitely sunfish, and most likely greens, although pix aren't clear enough to be certain. 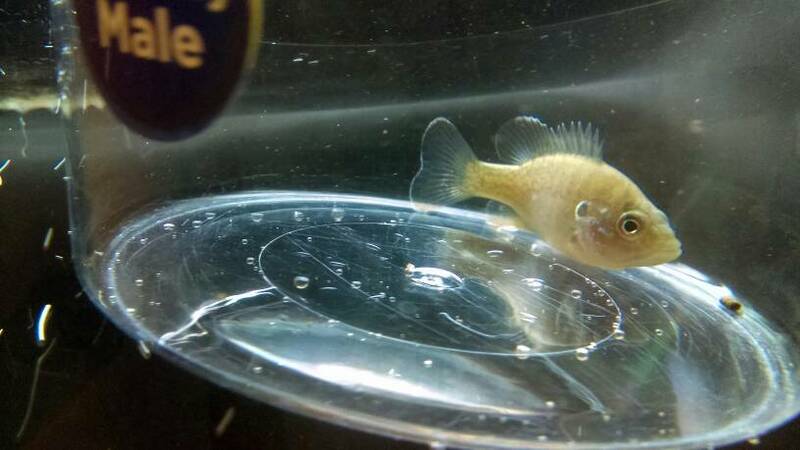 Greens and bluegill are the most common sunfish to show up in feeder tanks, and those don't look like bluegill. 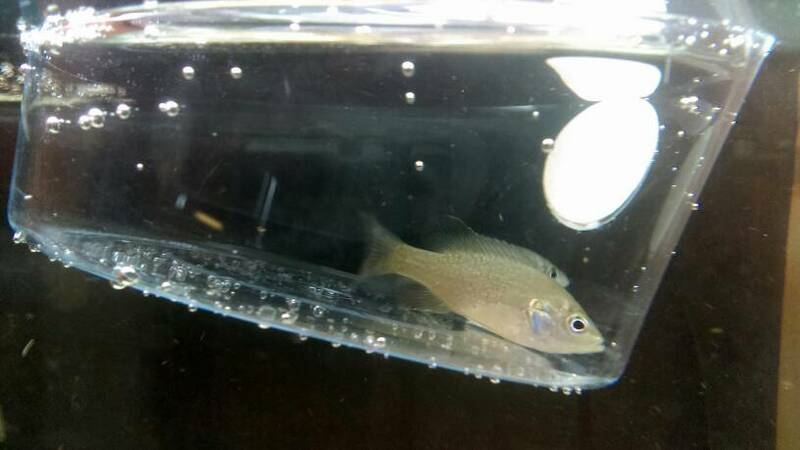 Tilapia are also common and might also get mistaken for sunfish sometimes. Yes - The Feeder Tank Finds and ID section is exactly for this purpose !!! I tried taking some better pics. I put the fish in some of those Betta cups, but they got stressed and the color lightened up. Those look like greens to me. P.S. How do we know that you didn't go out, buy 600 goldfish, bring them home, put them in a 10 gallon, add some locally caught juvenile sunnies, take a picture, then trick us all into believing that you took the pic at a pet store? Touche. But I don't own a goldfish or anything in the carp family. Also, who buys 600 goldfish? Edited by Firefly1152, 20 April 2016 - 11:10 AM. Good point! 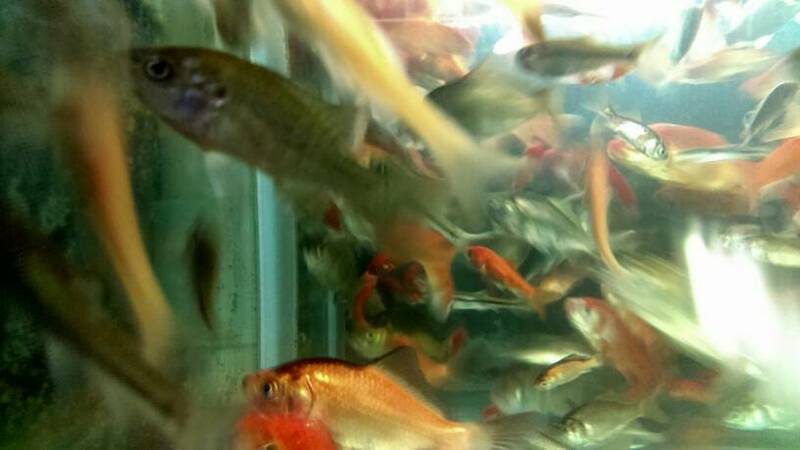 I mean seriously what if you had just bought an empty store front to put a whole bunch of 10-20 gallon tanks in full of fish (including feeders) so that you could pretend to be a customer going into a fish store to accidentally find Centrarchid feeders so that you could post to the NANFA website asking for indentification?!? Yeah.....what answer do you have for that?!? 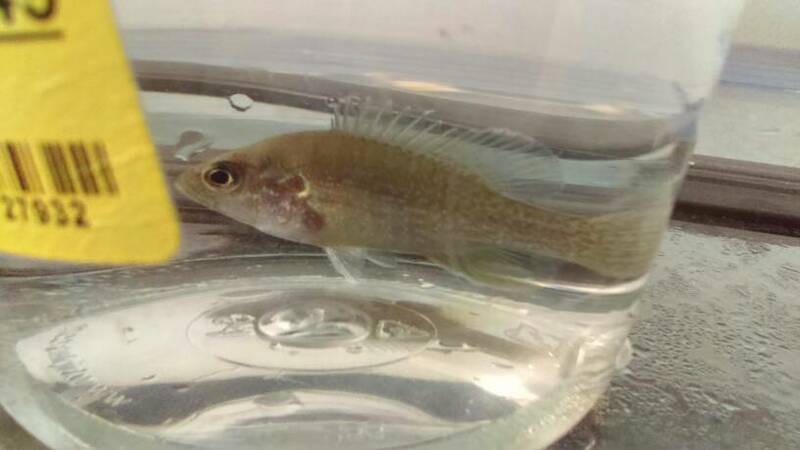 To answer the original question, It is so hard to tell what type of sunfish they are when they are young, but pattern and body shape points to Green. If I came across as rude or that I was accusing you, that was not my intentions. 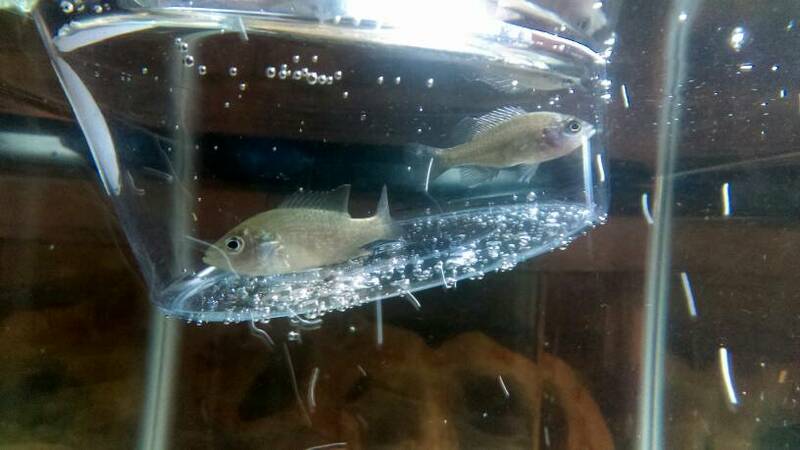 From the get go I believed that you got those from feeder tanks, because they were sunfish. The exception to the ID rule (i.e. I got these from a feeder tank) can easily be abused. My responsibility is to help and protect NANFA, even if that means pointing out a rule that you are in compliance with. I appreciate you taking the extra photos, and having the photo from the feeder tank as proof, not everyone goes to those lengths. I understand. I was actually hesitant to post here because of that rule. Then I saw this section and thought it was at least worth a shot. This is the right place. I am certain that Josh was just trying to inform you of and reiterate the rules simply for NANFA'S protection. The purpose of this subforum was to cover a gray area, with hope's that the guide would allow most people to ID them on their own. If they were already purchased or adopted, then the photos are kind of a last ditch effort. Believe it or not we have actually has some forum guests try to fake photos for ID. WE TAKE THE NO HOME ID'S SERIOUSLY. However we have not found an ideal way to deal with these darn feeder tank hitchhikers. Good luck with the sunfish. The guide will become more useful as they grow as will better pictures when they are a bit larger. Greens. Long bodies and large mouths, plus white edging to the fins and operculums. Very hardy and very personable, but they can be aggressive. They're easy to feed, too, give them any sort of meaty food and they'll grow like mad. I'd suggest frozen bloodworms at first, then any sort of pellet food that they'll accept.